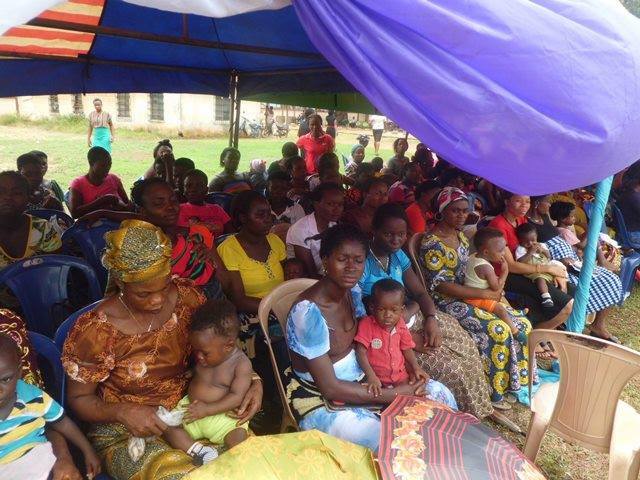 A Cross-section of Okposi children with their mothers. For us in Okposi Development Centre, we will stop at nothing in furthering the frontiers of protective environment for the children based on the recognition that all children are entitled to protection – as enshrined in the UN Convention on the Rights of the Child and Nigeria’s Child’s Rights Act 2003. So, we strongly support the call by UNICEF for the collective protection of the child involving the family, community, society and the state. I enjoin every man and woman to see the protection of the child as a collective responsibility. We must do everything to provide protective environment for the Okposi child. From the depth of my heart, on behalf of the Executive Governor of Ebonyi State, His Excellency, Chief Martin N. Elechi, CON and his supportive and caring wife, Josephine, I wish Happy Children’s Day to all our kids. Love you irreversibly. Enjoy your Day our dear children; you are our precious GOLD! Thank you all and God Bless!